3Faculty of Electrical and Computer Engineering University of Tabriz, Tabriz, Iran. 4Department of Electrical and Computer Engineering, University of Tabriz, Tabriz, Iran. 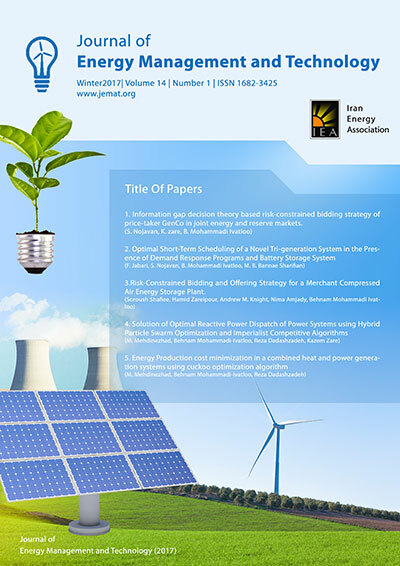 This paper presents a single-phase transformer-less flying capacitor inverter (FCI) for applications in grid-tied PV systems. In this structure, the neutral point of the grid is connected directly to the negative terminal of PV, so the common mode (CM) leakage current eliminate without using any control strategy. The main merits of this inverter are flexible grounding configuration and high safety. A fractional-order proportional resonant (FPR) controller is employed for the proposed FCI to improve its performance during transient and steady state operation. The low output current ripple of the proposed FPR controller against parameter uncertainties is compared with conventional proportional resonant (PR) controller. The capability of controllers is investigated for parametric changes. The grid connected inverter can achieve the maximum power point tracking (MPPT) of the solar panels and inject a sinusoidal current into the grid with FPR controller. Finally, performance of the proposed controller scheme as well as the grid-tied FCI topology are verified through simulation results.